Understatement. Samsung restyles its midrange dubbed Series 5 with plain, high-end looks and fresh components. Onboard we find a matte 14-inch screen, a dual-core processor from Intel and a dedicated graphics from AMD. This configuration is currently priced at about 800 Euros (~$1034). 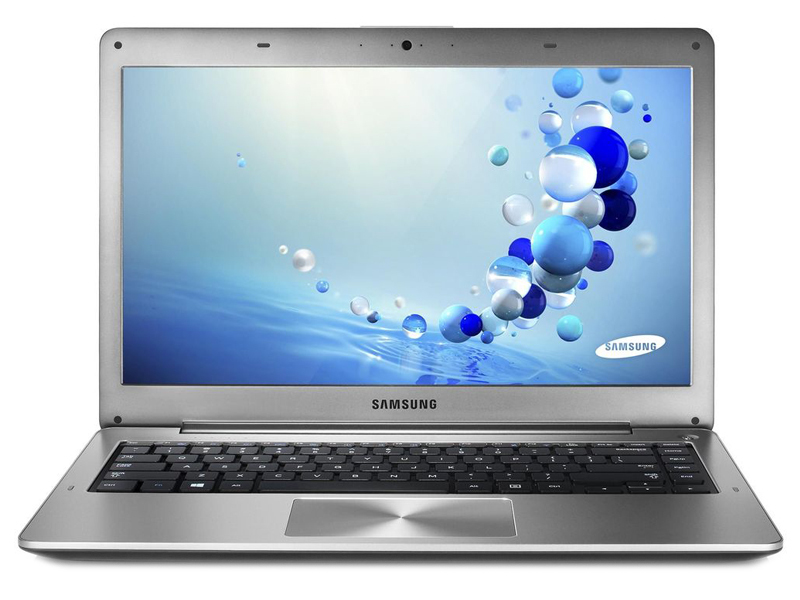 Samsung’s Series 5 is a mid-range 14-inch Windows 8 notebook with high-end finishes for about $800. Let’s take a closer look. The Series 5 plumps for the minimalist style, following the current fad for lightish-colored mixtures of plastic and metal surfacing. The Series 5 is on sale already priced at $850, and the manufacturer’s decription of it as a ‘multimedia Ultrabook’ is well justified. Positive: Good graphics performance in a slim design; long battery life; quiet cooling. Negative: Low quality display; no backlit keyboard; position of the touchpad. AMD Radeon HD 8750M: Mid-range graphics card based on the GCN architecture. Modern games should be playable with these graphics cards at low settings and resolutions. Casual gamers may be happy with these cards. » Further information can be found in our Comparison of Mobile Graphics Cards and the corresponding Benchmark List.